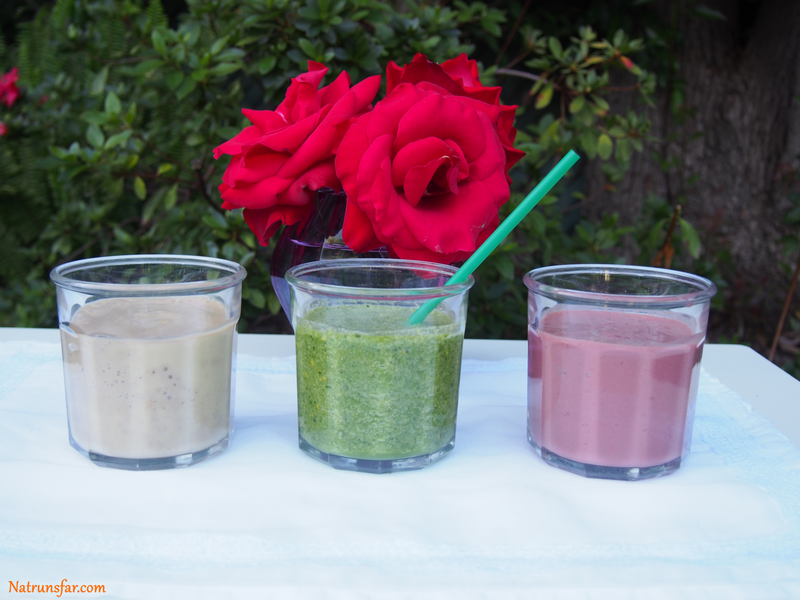 I was super excited to make these three delicious smoothies! All three smoothies are made with Bee Pollen. Bee Pollen is made by honeybees, and is the food of the young bee. Bee Pollen is so good for you because it contains nearly all the nutrients that we need! Bee pollen are rich in proteins, vitamins (including B-complex), folic acid and free amino acids. Bee Pollen is more rich in proteins than any animal source! It contains more amino acids than cheese, eggs or beef of equal weight. Bee Pollen (among many other benefits!) is an excellent energy enhancer, skin soother and immune system booster. You can take a spoonful of Bee Pollen during a meal, preferably with fruit. The fruit fibers reinforce the activity of the fresh pollen. 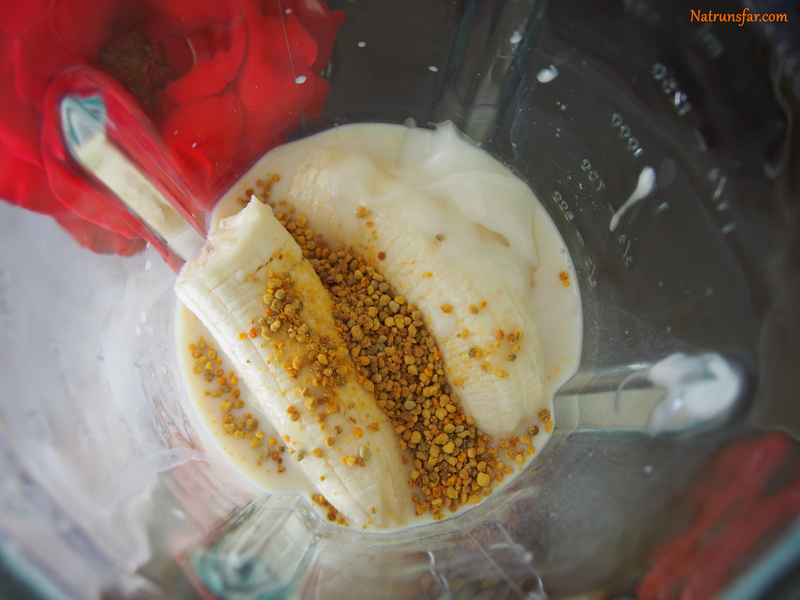 You should definitely give Bee Pollen a try! Where can you find it? At Whole Foods or any health food store. NOTE: Bee Pollen needs to stay refrigerated. 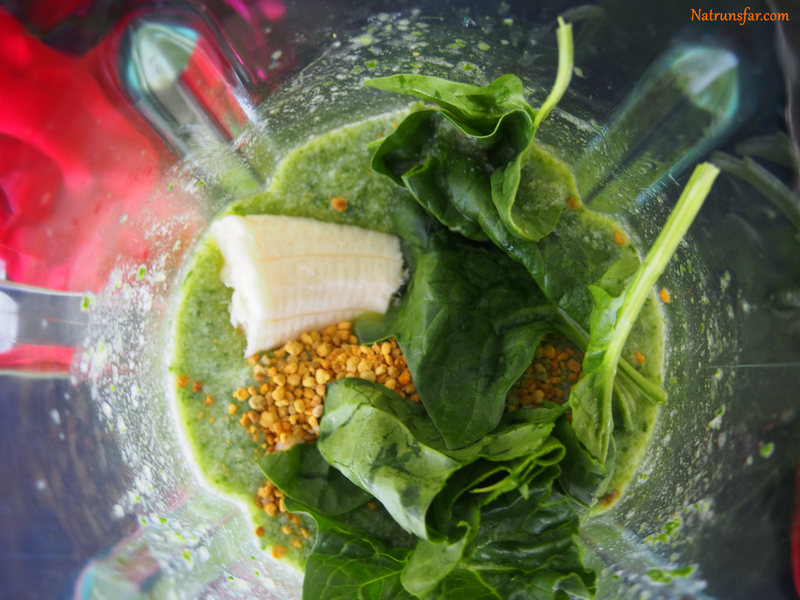 I decided to develop three smoothies that all contain Bee Pollen. 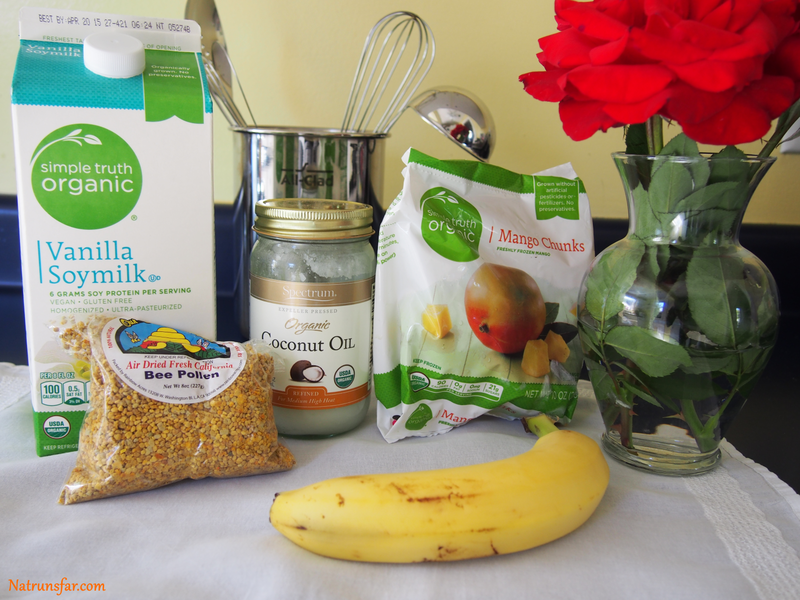 The banana and soy milk made the texture of this smoothie thick, creamy and delicious!! Next, I decided to try another smoothie with Tart Cherry Juice! I made a really yummy smoothie with Tart Cherry Juice a couple of weeks ago and you can see it HERE. Popped everything into the blender and away we go! The vanilla, honey and banana balanced the tartness of the cherry juice, greek yogurt and raspberries. I hope you enjoy these smoothies as much as we did! 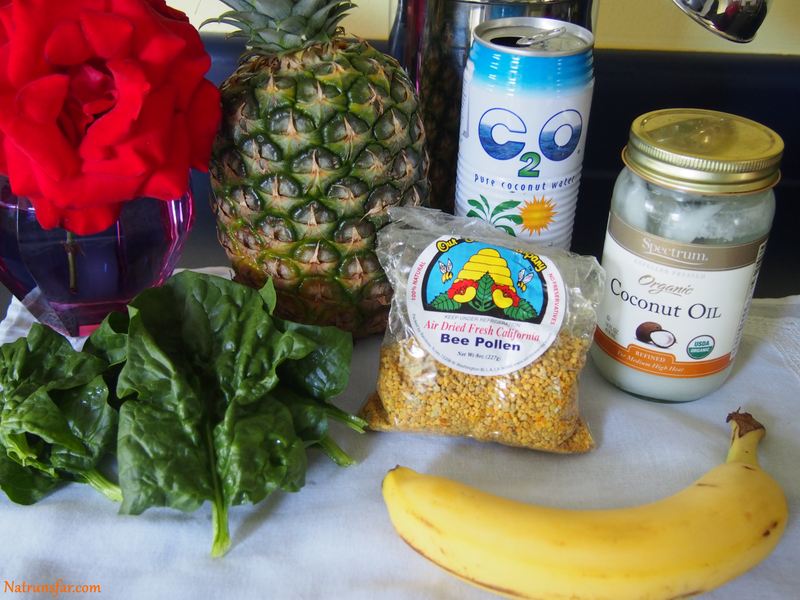 I love all the benefits of Bee Pollen and all the goodness of the other fresh ingredients. 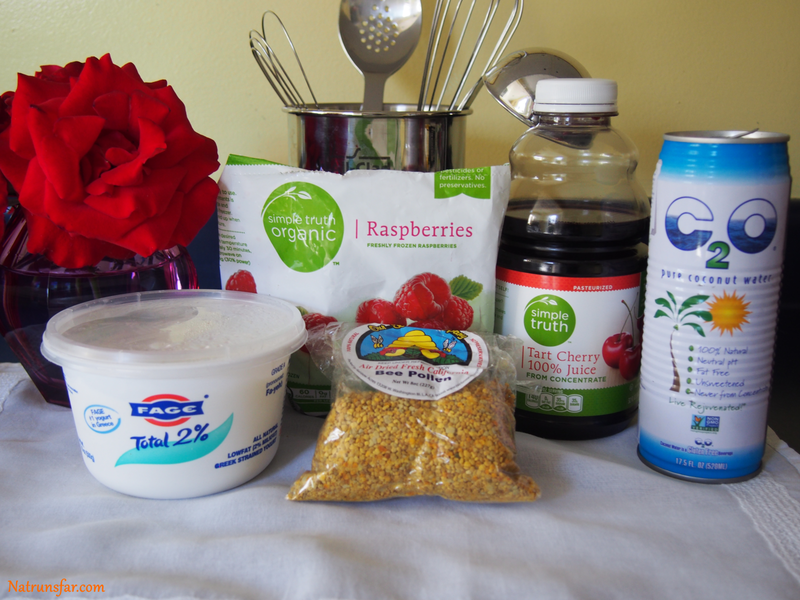 What are your favorite ingredients that you use to make smoothies? 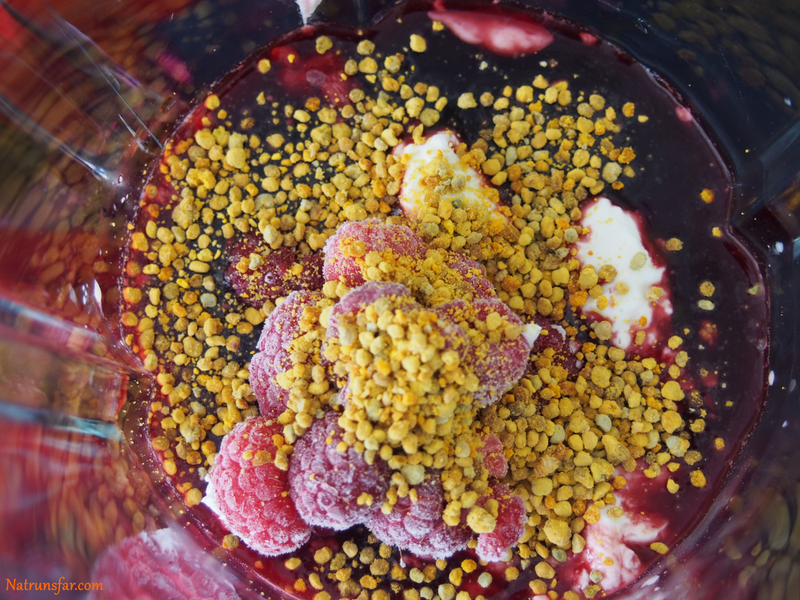 Have you ever tried Bee Pollen?